The healthcare system has many working parts. For this reason, medical offices must be kept in meticulous order; this keeps administrators busy. One of the tasks that is especially consuming of one’s time and effort is keeping track of medical staff training and certifications issues. This duty can become burdensome if there is no organizational system in place to support it. It is a healthcare worker’s responsibility to stay on top of training and certifications. However, it is the medical administrators who are left with the challenge of ensuring that employees get the training they need and monitoring and motivating entire teams of medical professionals. 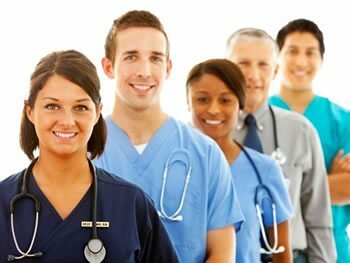 Medical administrators go into their jobs knowing that they will be required to oversee the training of healthcare teams and report on their progress. They are obviously up to the task, but understandably worry that they will not be able to monitor everyone and ensure all training get fulfilled. These are serious responsibilities, but a learning management system (LMS) streamlines them. A survey conducted by HR and Nurse Excellence reveals that over half of healthcare organizations utilize social learning management systems. An LMS, also referred to as an eLearning platform, can simplify administration jobs with simple management tools while offering easy-­to­-access learning portals for other staff members. While half of the healthcare industry is enjoying the organization-promoting tools that are built into eLearning systems, the other half is still using outdated pen-and-paper tracking to manage and monitor healthcare workers’ certification records. The “other half” needs the intervention of learning management systems. An eLearning platform would be advantageous to those healthcare organizations not currently utilizing LMS technology in a number of ways. Simplifying reporting is one of the primary ways an LMS would benefit any healthcare organization. The reporting and tracking tools that most LMSs come equipped with are designed to save administrators from scrupulously noting employee certifications by hand. Can you just imagine the time this would save already-busy administrators? Also, using LMS technology for the purpose of tracking and reporting healthcare training may increase the accuracy of documentation. The organizational capabilities that come with most LMSs greatly simplify the complex world of medicine. Best of all, all of this information can be kept in a secure online location that only administrators and users may access. LMSs that have mobile capabilities bring a higher level of convenience, as they can be accessed from any location and device. An LMS doesn’t just simplify an administrator’s duties; it also makes it possible for employees to receive training and track their own progress. This makes the necessary process of continuing education easy to supply and record. A trustworthy LMS platform can accomplish administrative tasks so that healthcare establishments can focus on caring for patients. To establish an organization system that simplifies the healthcare workplace, the right LMS must be implemented. TOPYX is a social learning management system that services unlimited users for one low, flat subscription rate. The platform has intuitive functions for administrators and learning features that are easy to embrace. Healthcare administrators and professionals should not have to bear the entire weight of their responsibilities. A good amount of career-related pressure can be alleviated by employing a quality LMS.